Park Hall on the University of Georgia campus. 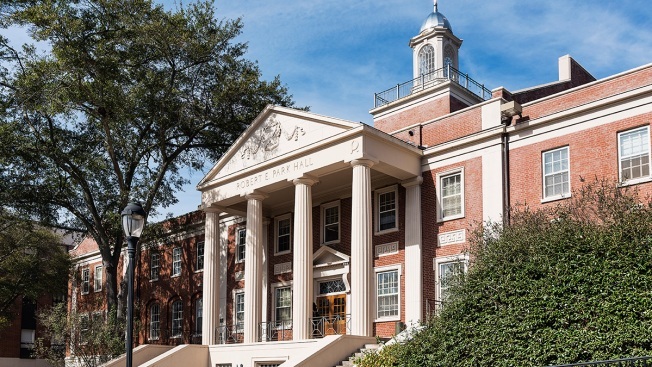 The Tau Kappa Epsilon fraternity said it has expelled four members at a chapter at the University of Georgia after video surfaced appearing to show men using a racial slur about black people and talking about picking cotton, NBC News reports. The video, which has not been verified by NBC News, appears to show one white man using a belt to slap another who is under covers in bed, and someone saying “pick my cotton” followed by an expletive. The person being hit says, “I am not black.” When someone else says “you’re not using the right words,” a racial slur can be heard.